Complex MA research project that I was mentoring this year at the Norwegian Theatre Academy at Østfold University in Fredrikstad (Norway), will be presented on 8th and 9th of December 2018 at three site-specific locations including the old shipyard building in Fredrikstad. Titled Corporeality of Scenography: Within the Zone of the Third Space, the project is graduation work of the young architect Nemanja Čađo, performed by Karoline Clasen Holland, Kaja Mærk Egeberg, Tobias Shaw Petersen, Lærke Grøntved, Mari Pitkänen, Eva Jaunzemis and Ingvild Isaksen. Performative proposition of this structured conceptual environment examines the relationship between scenography and choreography, articulated through the several spatial strategies of the transformed histories. 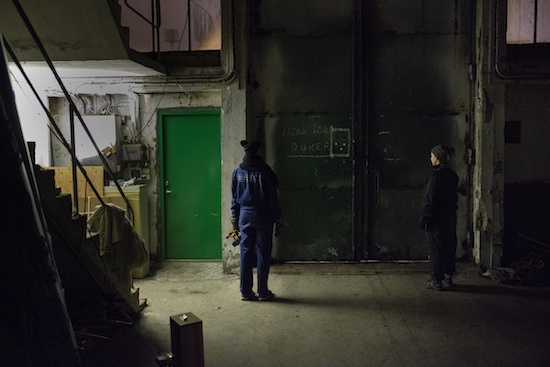 The project is part of the graduation project series of the Scenography Department of the Norwegian Theatre Academy at Østfold University, created in collaboration with Performance Department Alumni.